The reason he gave was that many, even as early as the first century Church did not walk uprightly. As it was in the beginning so it is now. Therefore, beloved, watch out for good role models and pattern your life after them as they do after Christ. 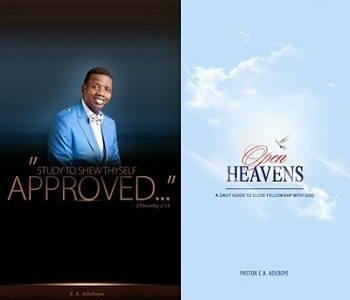 15 October 2016 Open Heavens. CategoriesDevotional TagsDEVOTIONAL, OPEN HEAVENS, PASTOR EA ADEBOYE, RCCG, Saturday Oct. 15th 2016, WHO IS YOUR ROLE MODEL?